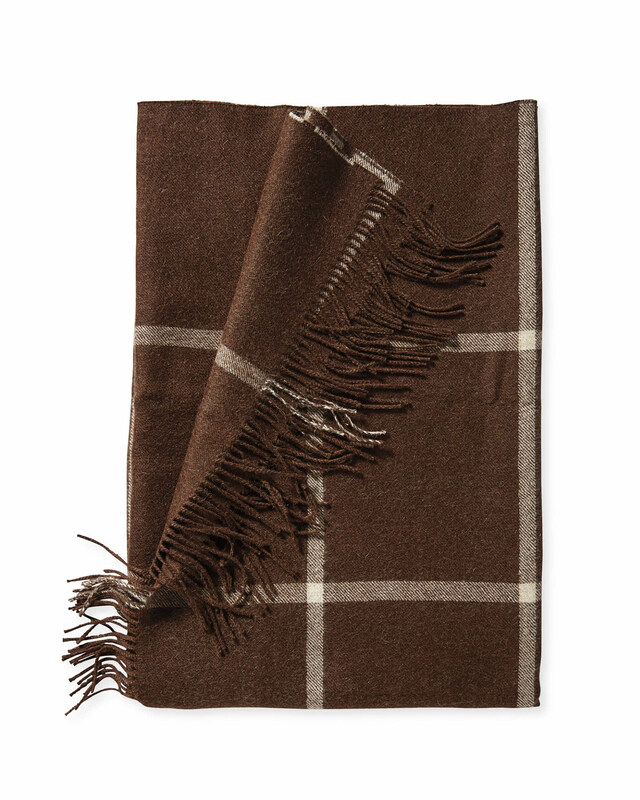 Avery Alpaca ThrowAvery Alpaca Throw, alt="Avery Alpaca Throw, "
Print Baby alpaca wool is one of those simple luxuries that never disappoints – softer than cashmere, warmer than wool, and brimming with cozy beauty. We designed this with a double-faced fabric for a windowpane pattern on one side, stripes on the reverse, giving you more opportunities to mix things up a little. 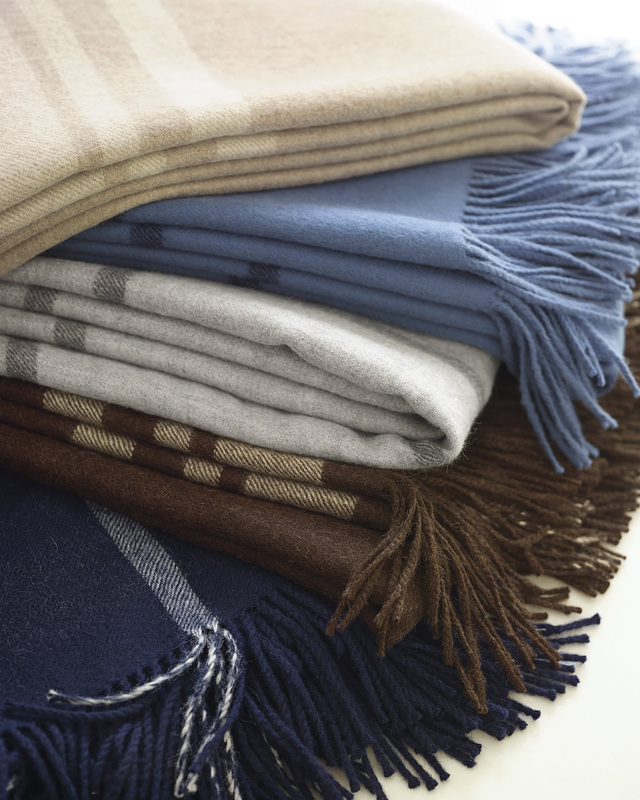 Handcrafted in Peru, where alpaca is at the heart of its rich textile heritage. 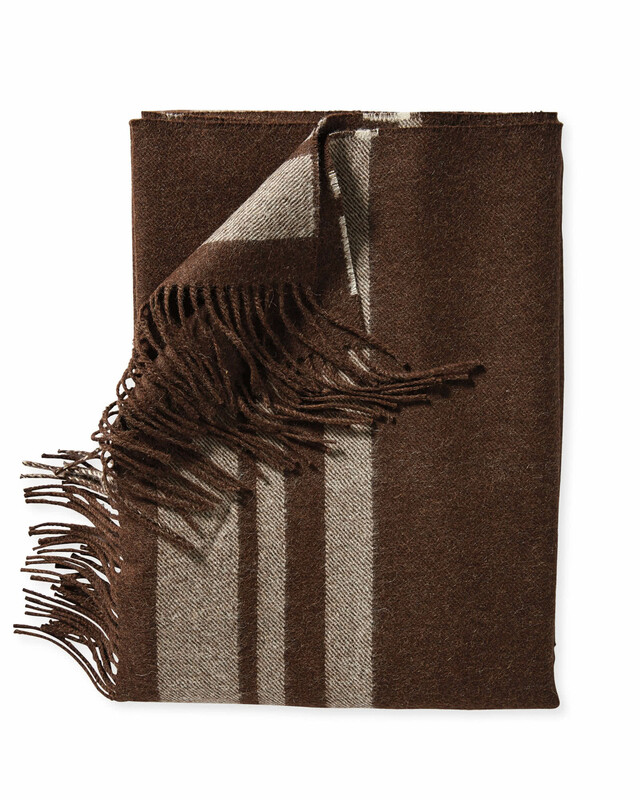 Woven of 100% baby alpaca wool. 50" x 70" with a 3" fringe.